A conference organized by Hadash and Meretz calling for the evacuation of Jewish settlers from the Palestinian West Bank city of Hebron will take place next week despite its having been officially cancelled by Knesset Speaker MK Yuli Edelstein (Likud). The event which had been slated to feature addresses from representatives of Breaking the Silence and B’Tselem as well as MKs from Hadash in the Joint List and Meretz, was scheduled to take place in the Knesset on Monday, November 26, the same day that Czech Republic President Miloš Zeman is scheduled to address the plenum. Edelstein’s office says it has cancelled all events that were to have taken place in the Knesset on that day. According to Knesset regulations, any conference held at the parliament requires the approval of the Knesset Speaker, currently MK Yuli Edelstein. A year ago, Edelstein sought to prevent Hadash MK Aida Touma-Sliman (Joint List) from holding a conference on 50 years of occupation of the Palestinian territories. To get around the Edelstein’s impediment then, the MKs organizing the event defined it as a “gathering,” something which the Knesset speaker has no authority to prevent. However, now the participants in this coming Monday’s event’s are not buying the speaker’s reasoning and are claiming that Edelstein’s intentions are purely political. “The Knesset is not the property of the speaker and the extreme right, and the plenum is not a werewolf fortress of the Likud. It is where a democratic debate is supposed to be conducted, reflecting the range of positions in society. We are going to hold our event anyway,” MK Khenin tweeted. The conference called “Hebron First” which will take place in the Knesset next week is being organized by Hadash MKs Ayman Odeh and Dov Khenin and Meretz MK Michal Rozin. It will feature a speech by B’Tselem Executive Director Hagai El-Ad, who recently spoke at the UN Security Council against Israel’s occupation of the Palestinian territories. Other participants invited to Monday’s event are activists from Israeli human rights and peace movements (B’Tselem, Breaking the Silence, Peace Now and Yesh Din) and Palestinians residents from Hebron. 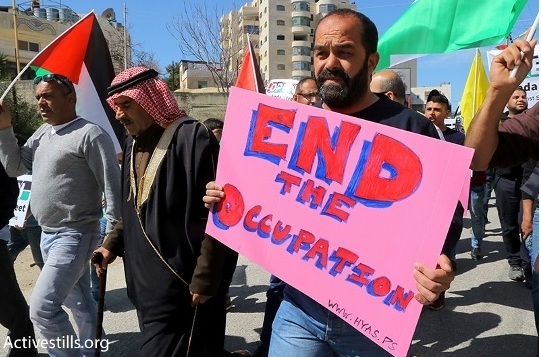 “For 50 years, a handful of settlers living at the very heart of the Palestinian population in Hebron have been leading the government to enact a cruel segregation regime, both physical and legal, on the Palestinian population,” the invitation for the conference read. “The settlement in Hebron is the expression of an extremist government policy that pours mass sums of money and endangers human lives to strengthen and maintain a handful of extremist settlers. The evacuation of the settlement in Hebron is a first and necessary step to promoting a diplomatic solution and bringing the Israeli-Palestinian conflict to an end,” the three MKs organizing the conference said in a joint statement.